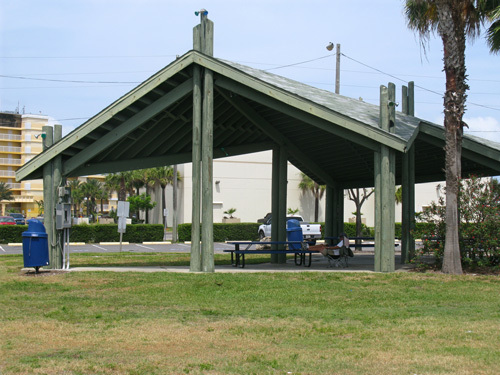 Treasure Island Park is both relaxing and built for adult outdoor activity. 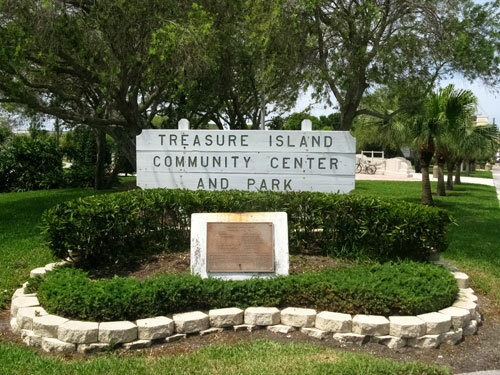 This large grassy area is connected with the Treasure Island Community Center and is located at 104th Avenue and Park Place. The park is a great change-of-pace for people who spend a lot of time at the beach (about 1/4 mile away) and want to see more greenery. It is also very popular for adults who like workouts that include running, sprinting, and upper body exercises using basic park equipment. 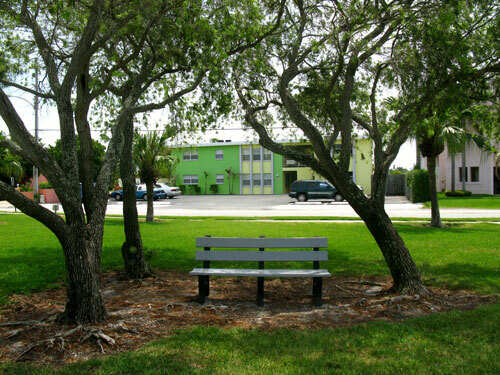 The park contains many shaded areas and a good number benches, both in and out of the Florida sunshine. You'll find many regulars here during the cooler months from October-March. Some come to read the paper, others meet friends for a picnic lunch, and a great many show up for the popular Treasure Island Open Air Market. 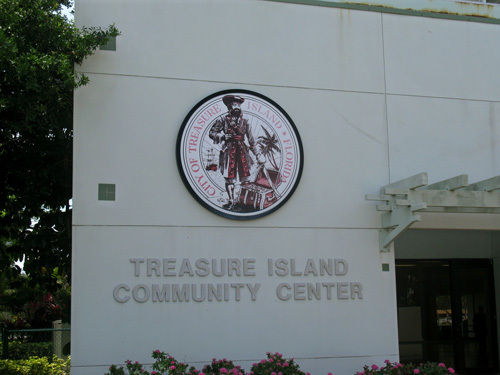 The park is connected to the Treasure Island Community Center. It's pretty easy to find the park. 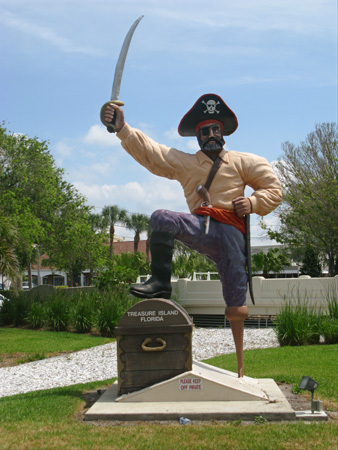 Just get on 104th Avenue and look for the giant pirate at the north end. On the southwest end, just turn at the intersection of 104th and Gulf Blvd. 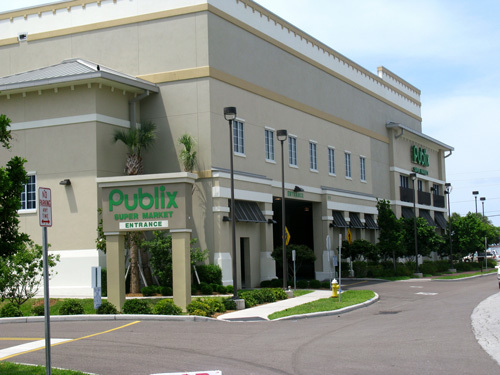 The park is directly across from the Publix Super Market. 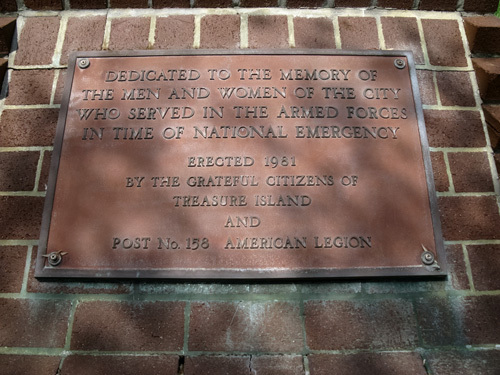 The park at Treasure Island Community Center is dedicated to the men and women who served in the Armed Forces. 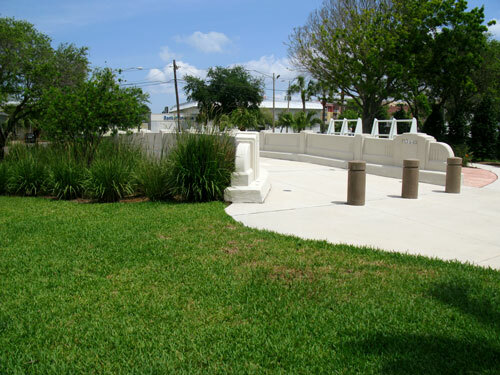 The park has a decorative bridge near some shaded seating at the north end. It seems to be a focal point for photos with visitors. There are many shaded benches in the park for those who do not wish to read, nap, or visit out in the sun. This covered area is great for picnics or just relaxing with the morning paper. There are no grills for cooking, so make sure all of your food is prepared ahead of time. On the south end is an exercise area with nine different stations. The ground is made from small chips of tires. 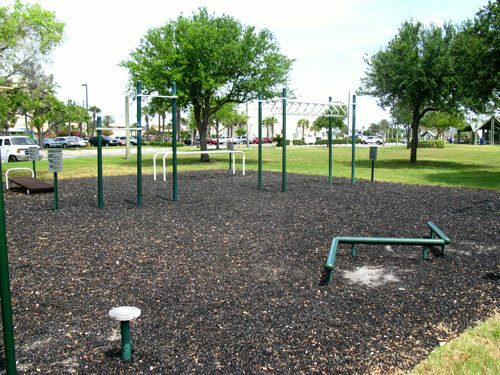 You will see this area utilized very early in the morning by loosely organized adult groups of friends who do dips, pullups, and interval workouts. 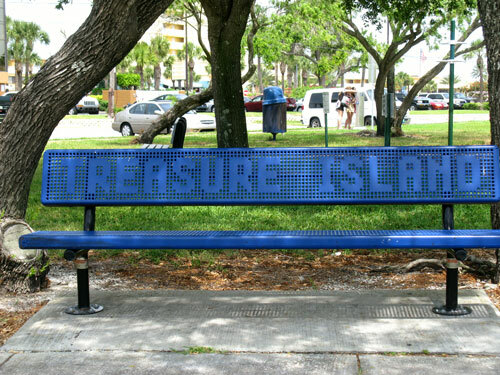 Treasure Island Park is a nice place to visit. Please stop by and see for yourself. Make sure you bring some quarters for the parking spaces. Would you like to retire in Florida like I did?